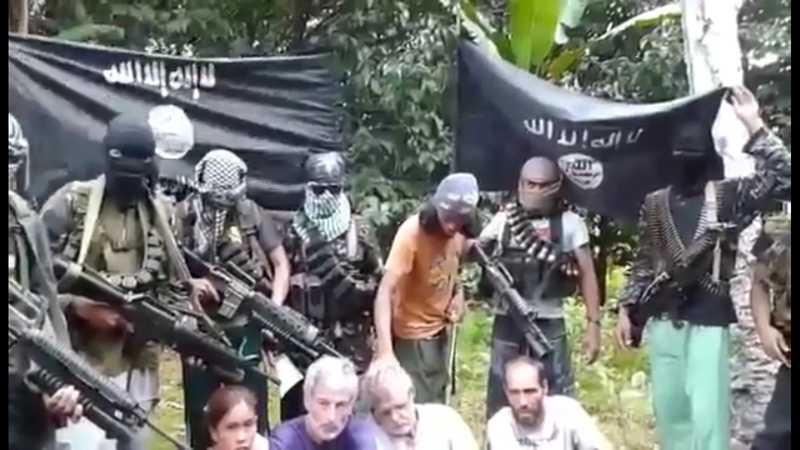 The Abu Sayyaf Group (ASG), a Philippines-based jihadist group, has released a new English-language video showing three Westerners and a Filipina who are being held as hostages. The three Westerners, two Canadians and one Norwegian, plead to their governments for help in their release. The other Canadian, John Ridsdel, is then forced to speak to the camera. He confirms that the group was taken from the Ocean View Marina in Samal in the province of Davao. He then proclaims that he “urges the Canadian government to please help us.” He says they can do this by working with the Philippine government to “stop the operations that have been going on.” Ridsdel mentions mortar fire, airstrikes, and other military operations directed against the Abu Sayyaf Group. The Filipina hostage does not speak in the video. 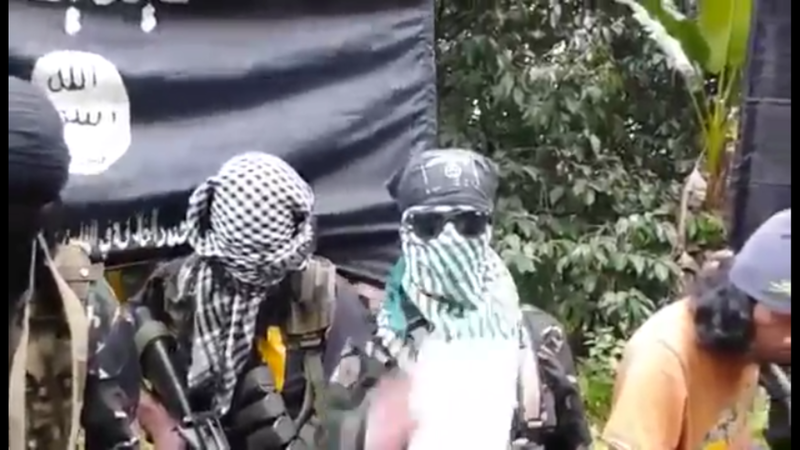 A masked man then speaks to the camera to “deliver a message to the Canadian government and the Philippine government.” The jihadist outlines requirements for the two governments before any negotiations can begin to secure the release of the hostages. “Number one, there must be no military operation and there must be no artillery attack and all that is harmful against us,” he says. ASG has a long history of taking hostages in southeast Asia. Last year, two German nationals were kidnapped by ASG near Malaysia. The Germans joined two other European hostages before being released last October. Additionally, in April 2000, ASG kidnapped 19 people in Malaysia before taking them back to their base in Sulu, Philippines. In 2001, the Philippine government rescued an American hostage taken by ASG after the group threatened to kill him. A month later, ASG kidnapped 20 individuals from a resort on the island of Palawan. It is also thought that ASG has kidnapped 20 reporters since the year 2000. In the past, the ASG has had ties to al Qaeda. In June, a master ASG bomb maker who was thought to have been killed in a drone strike in North Waziristan, Pakistan, turned up in the Philippines. The operative, Abdul Basit Usman, is wanted by the United States for his involvement in multiple bombings in the Philippines and also has ties to Jemaah Islamiyah, an al Qaeda-linked group in Southeast Asia. ASG was funded and financed by Mohammed Jamal Khalifa, one of Osama bin Laden’s brother-in-laws, according to Khaddafy Janjalani, the leader of Abu Sayyaf before he was killed in 2006. Khalifa, an al Qaeda financier and facilitator, was killed by US special operations forces in Madagascar in 2006. But ASG distanced itself from al Qaeda when, last July, Isnilon Hapilon, a top leader in the group, swore allegiance to Abu Bakr al Baghdadi, the emir of the Islamic State. However, its current relationship with the Islamic State is unclear. media, and police apparatus to web into a neo nazi stlye apparatus, is the yeast for all future growth throughout the pacific. Just wait.